According to the Hindu scriptures the end of the Mahabharata war marks the beginning of Kaliyuga. In this Yuga Dharma or Piety becomes a bad word and sins become the order of the day. After Mahabharata war great Sages, led by the Sage Saunaka, approached Lord Brahma. They requested him to suggest a land on earth where they can peacefully meditate without getting affected by the ill effects of Kaliyuga. Lord Brahma, out of his divine will, created a huge wheel known as Manomaya Chakra. He rolled it on earth and asked the Sages to follow it. He told them they can take the abode where the wheel stops its rolling and cracks. After a long journey the wheel reached the present day Namisharanya where it stopped rolling and cracked. When the wheel cracked a huge gush of water sproute in the form of a Shiva linga. When the water began to fled the area the Sages prayed to Goddess Parvati for help. She appeared before them, stopped the flow of water. The ancient Lalitha devi temple commemorate this incident. Many consider this temple as one of the Shakti Peetha. She is also known as Linga-Darshini Shakti. 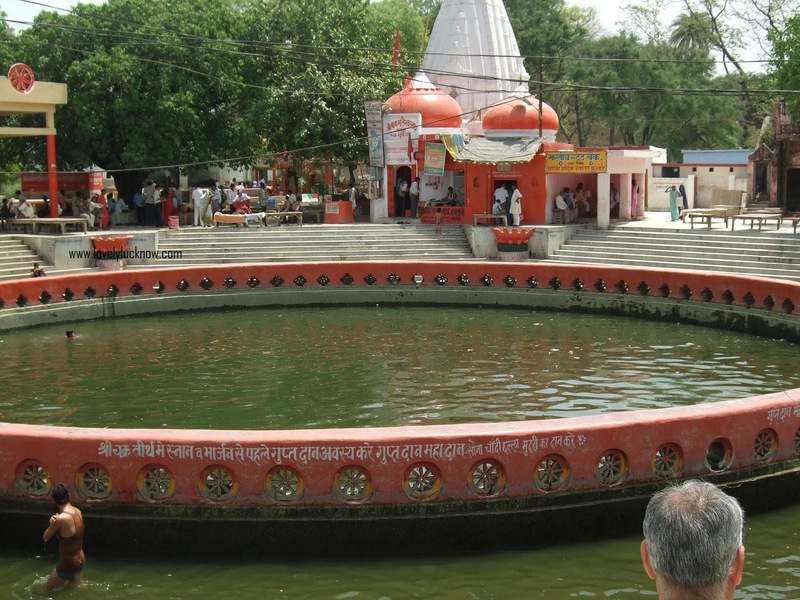 The spot where manomaya chakra stopped its journey and cracked became a sacred pond, now known as Chakratheertha. This is one of the holiest places to the Hindus. A dip in this theertha absolves one from all the sins. According to the Hindu belief this theertha marks the epicenter of the earth or Prithvi Mandala. Since the wheel stopped at Namisharanya the Sages who followed it choose that as their abode. The place became a centre of learning. The great Sages taught Vedas and Puranas to their disciples here. It is here the great Sage Sutha narrated the holy Sreemad Bhagavatham to his disciples for the first time. It is here the great Sage Veda Vyasa compiled many of his Puranas and other important scriptures. Namisharanya is near to Sitapur, on the banks of river Gomati. It is ninety kilometers from Lucknow � the state capital. Sitapur Cantonement and Hardoi railway station is also nearby.